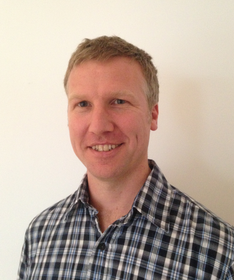 Volker is a geologist (MSc) and geostatistician (MPhil) with 10 years experience in the Australian mining industry. His sound understanding of the mine planning process and the mining value chain complements his core skills in geology, resource estimation and uncertainty assessment. He is an innovative, strategic thinker with excellent problem solving skills, challenging the status-quo to unlock additional value. He works collaboratively, bridging cultural and skills gaps between people and functions. Work experience include resource estimation, geostatistics and simulation studies in a range of commodities including, Gold, Copper, Nickel, Coal, Magnetite, Iron Ore. During his career at BHP Billiton, he has been part of feasibility study teams from concept level to project sanctioning and, also supported projects through construction and ramp-up pases. Volker gained strong expertise in Iron Ore exploration and resource modelling and, was appointed JORC Competent Person for the Newman and Jimblebar JVs. He delivered process improvements for all stages of resource modelling and led the development of an integrated workflow system for Resource Modelling. We aspire to deliver the best possible solution for your business. To achieve this we first need to understand your business, your situation and your team before we are able to tailor our service optimally to your requirements.